March 2015 – Bring it on life! There are not many things that I get highly excited about,although folks say I am easily awed by things. 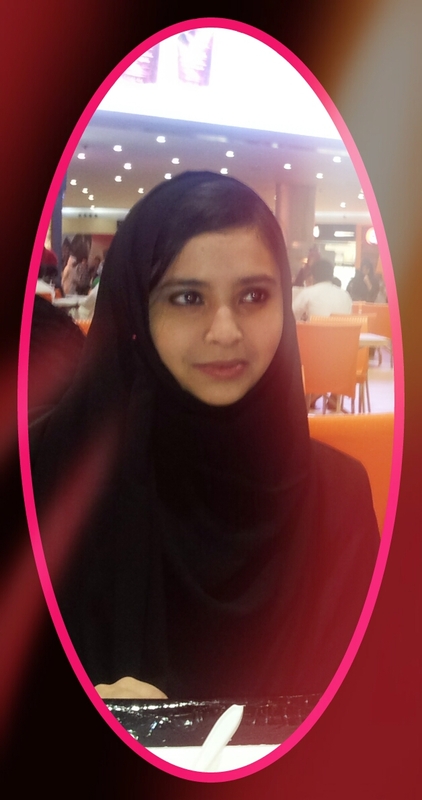 One such thing that has left me star struck is Iba Halalcare. My in-laws think I am lazy. Maybe I am. I have so many things to blog about. Most of the posts flood my mind while I prepare my lunch and then just end up in the curry. I don’t know how fast the time goes by when hubby is around. And then my amazing kids fill up the remaining empty moments of my day. In the midst of that, when our not-so-fast internet slows real bad, and I have literally nothing else to do, my post on my blog pops into my mind which I must have posted a week ago in the vastness of my mind. So back to my point. This whole concept of fragrance was not very enticing to me until I came across this instagram profile of Iba HalalCare. I may not be as practising in deen as I used to be but I do not waver on my principles. And I wanted to smell nice. I don’t know,but somehow no matter how costly they might be, perfumes never really held me mid-air. So in my eternal search for nice things invented by mankind, I came across this brand. They state that their products have no alcohol or bad chemicals. They are vegan products that means no animal stuff used in it. Also no animals hurt or tested upon for their experimenting. You think it’s too good to be true? Just try them. 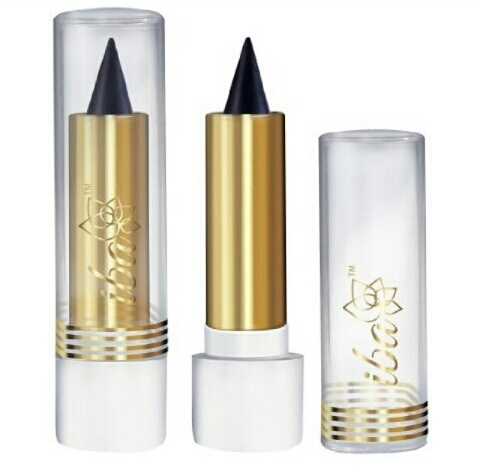 I ordered Iba’s kajal. It is so smooth, non-smudgy and no irritation for my sensitive eyes. It stays on for about four-five hours. And that is just fine with me. I got tired of Pond’s pink talc powder. So I decided to order Iba’s Arabian Oudh Talc. And whoa it has got such an original thick ethnic Arabian scent to it. Me, being a huge fan of anything arabic-Arabian, loved this product like mad! It does not have a heavy feel like most talcs do. It’s scent lasts longer than any talc ever and that’s a huge Wow for me! My skin is a little weird. I get hives on the application of any cream, soap, facial, basically anything cosmetic. Some face compacts in between my skin. Really distressing for someone with too much exposure to sun and kitchen heat. Hence I am looking forward to trying out products of this line/brand. 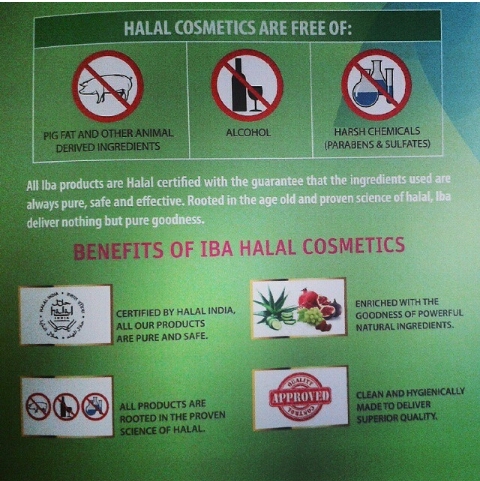 Well done Iba Halal Care! You have won me over! Ecotrail Personal Care, a company headed by two Ahmedabad-based Jain sisters, launched in the city on Wednesday Iba Halal Care– India’s first halal cosmetics brand. Iba Halal Cosmetics range of around 60 products includes face creams, body lotions, hair oil, shampoo, conditioners, lipsticks, kajal, soap and perfumes. “These cosmetics products are free of alcohol and are popular in countries like Saudi Arabia, Canada, the UK, Turkey, Malaysia and Indonesia. They are known as mineral makeup products in European markets,” Mauli said. Grishma Teli, vice-president, research and development, Ecotrail, said only extracts from vegetables and fruits are used in the cosmetics products manufactured at the company’s unit in Sanand. “The source of every ingredient is researched and it is ensured that products are 100% free of non-halal ingredients such as alcohol, chemicals like sulfate, paraben and mercury and animal-derived inputs,” she said. My mother always told me that the way to a man’s heart is through his stomach. Me being a typical teenager, never believed in it. But as always mamma is right! I have finally walked my way through this huge thing called cooking. In the end, I figured out that more than the process, its the love for whom we cook that makes the best meal!! I have learnt to enjoy cooking anything. Specially some great grand dishes. I like to try out new recipes , new cuisines. 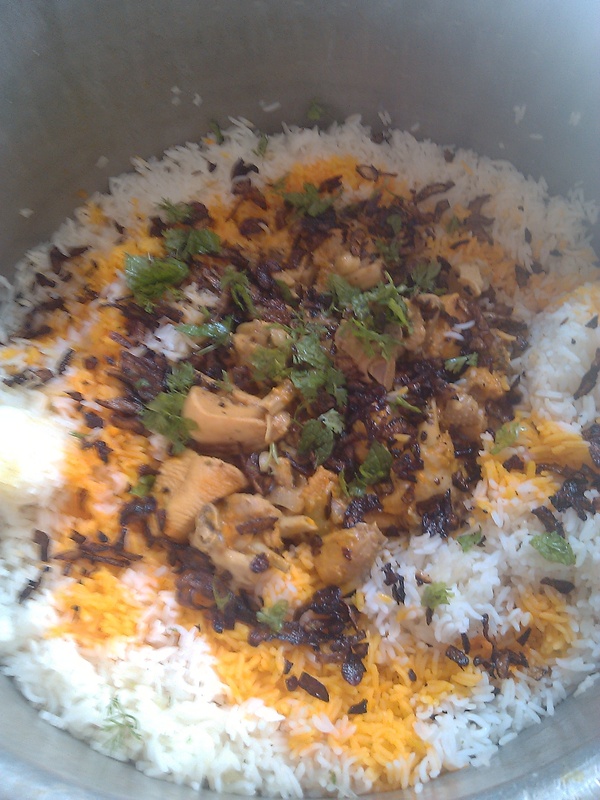 What I have made here is Hyderabadi Chicken Biryani. As much as I have developed a great interest in eating delicious food, I also have pulled up my sleeves in making them. 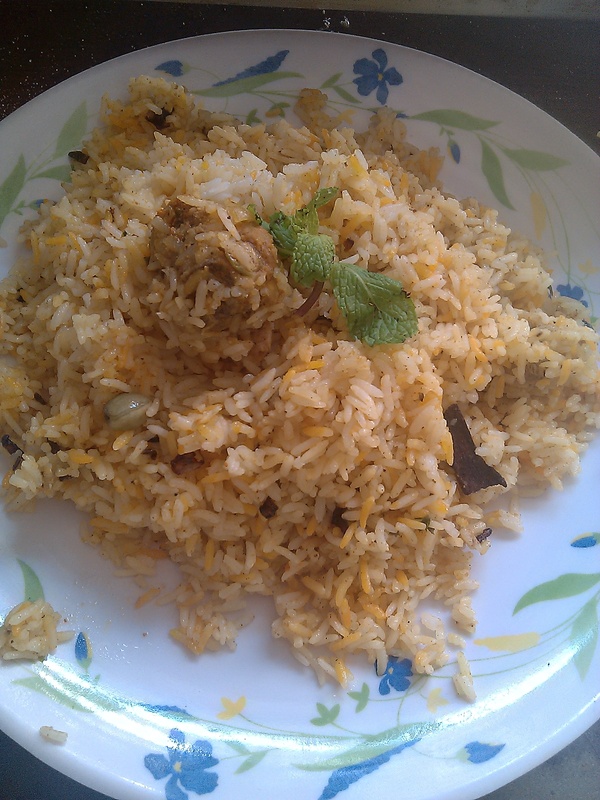 This is how The biryani looks when mixed well and served.